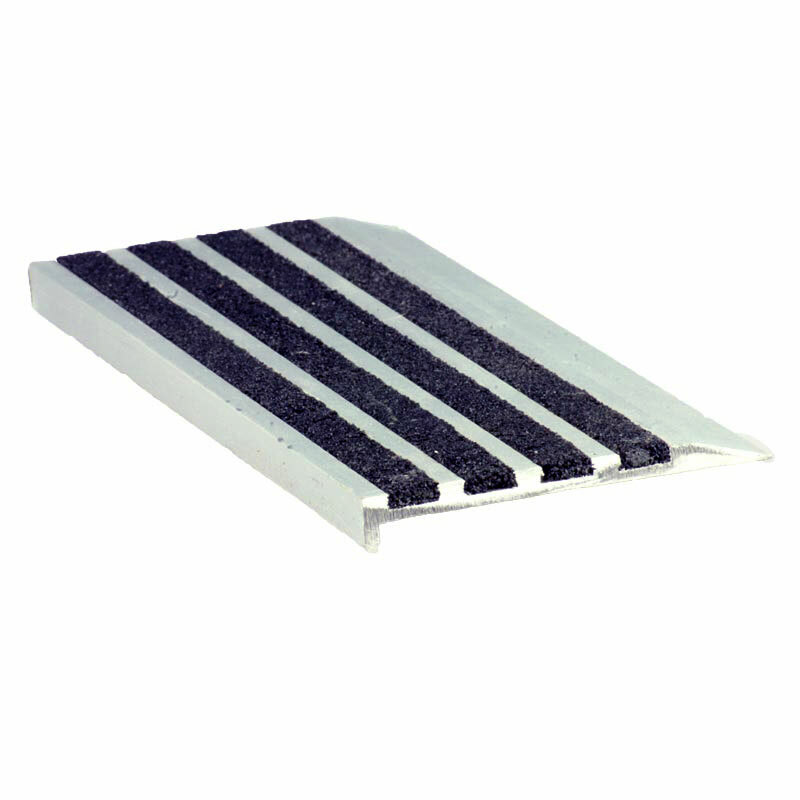 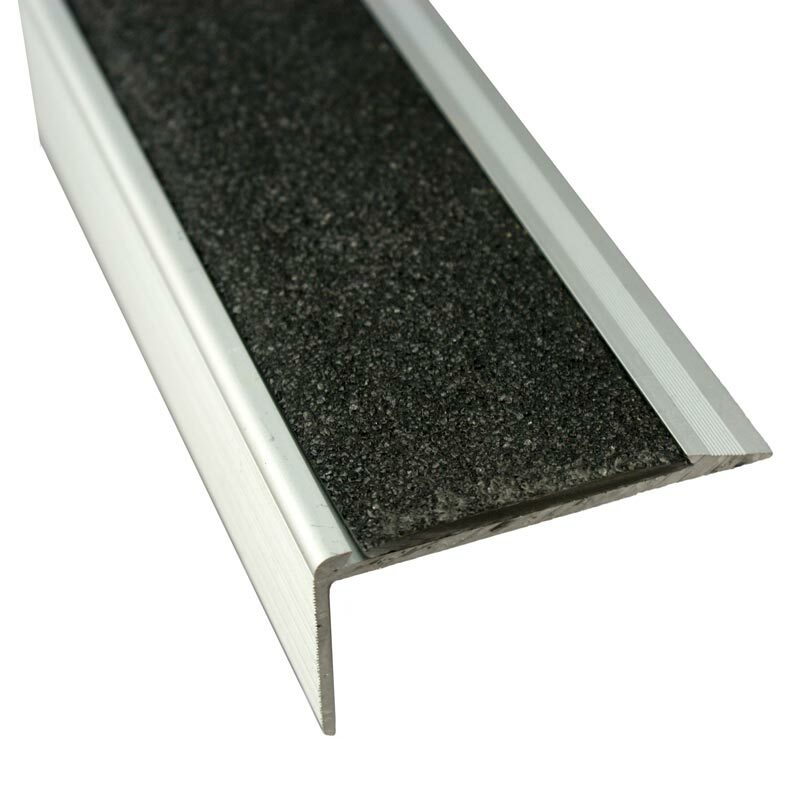 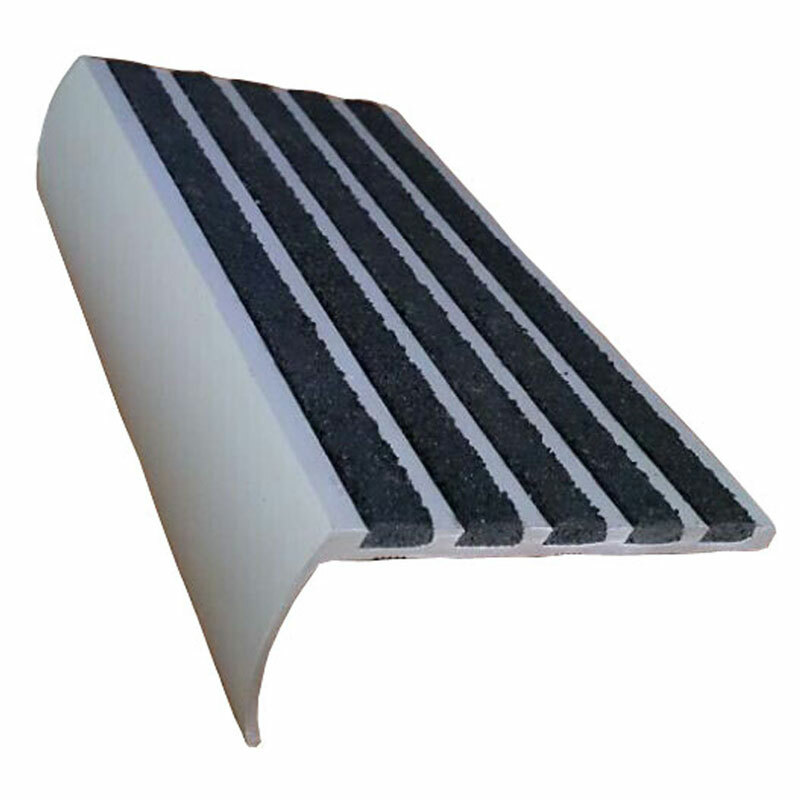 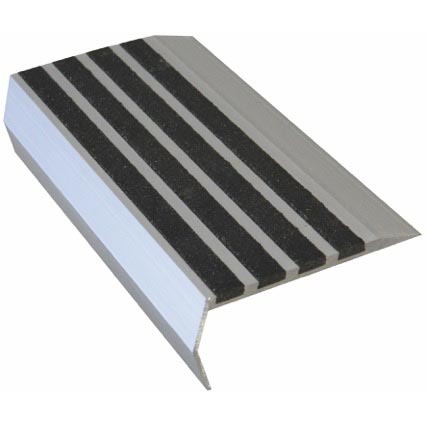 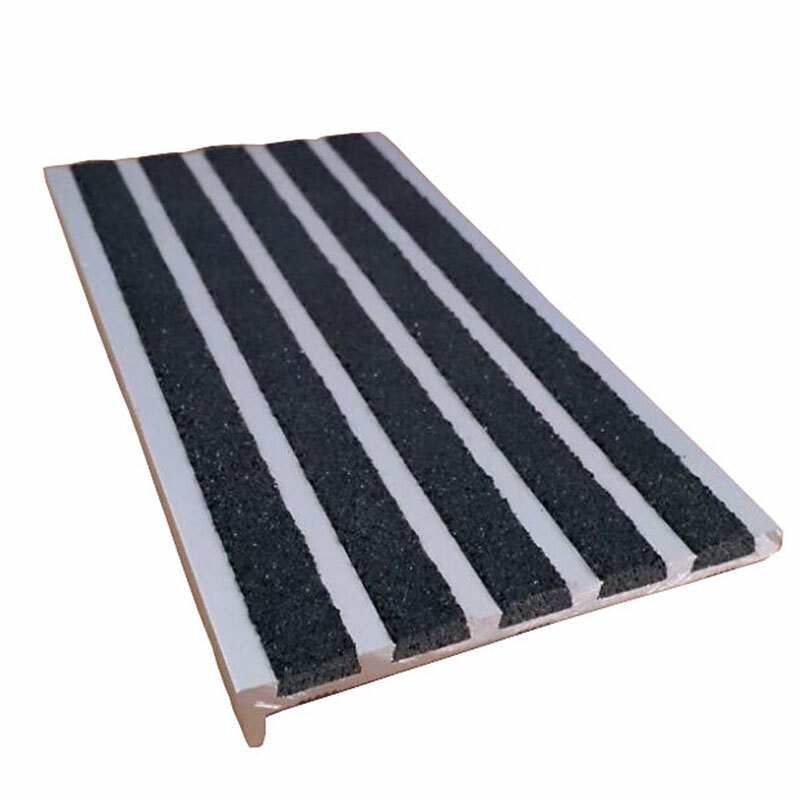 Franklin range of carborundum stair nosing’s have been designed & manufactured to be used in extremely high traffic areas. 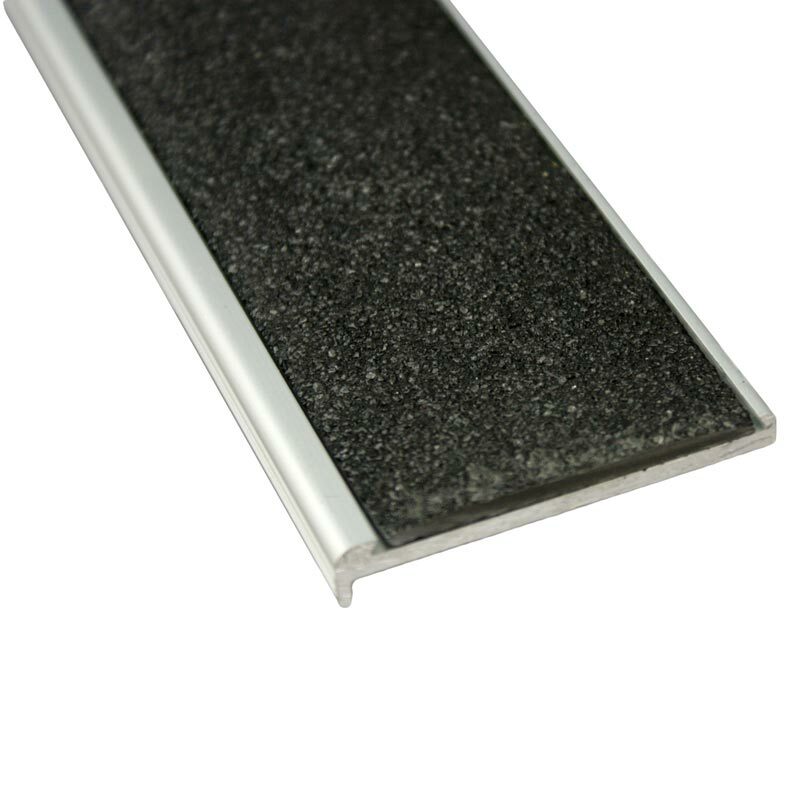 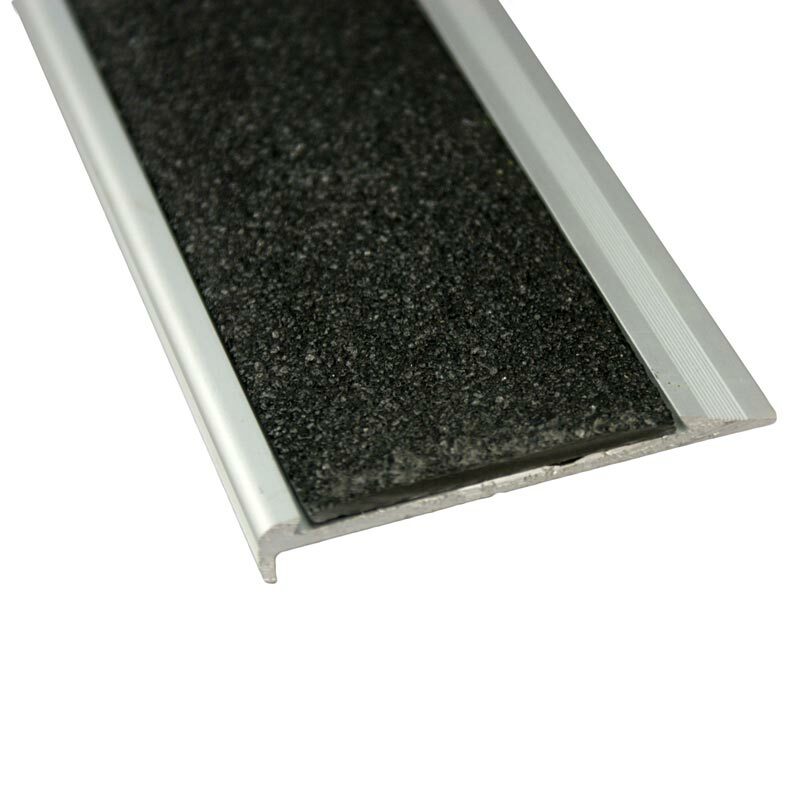 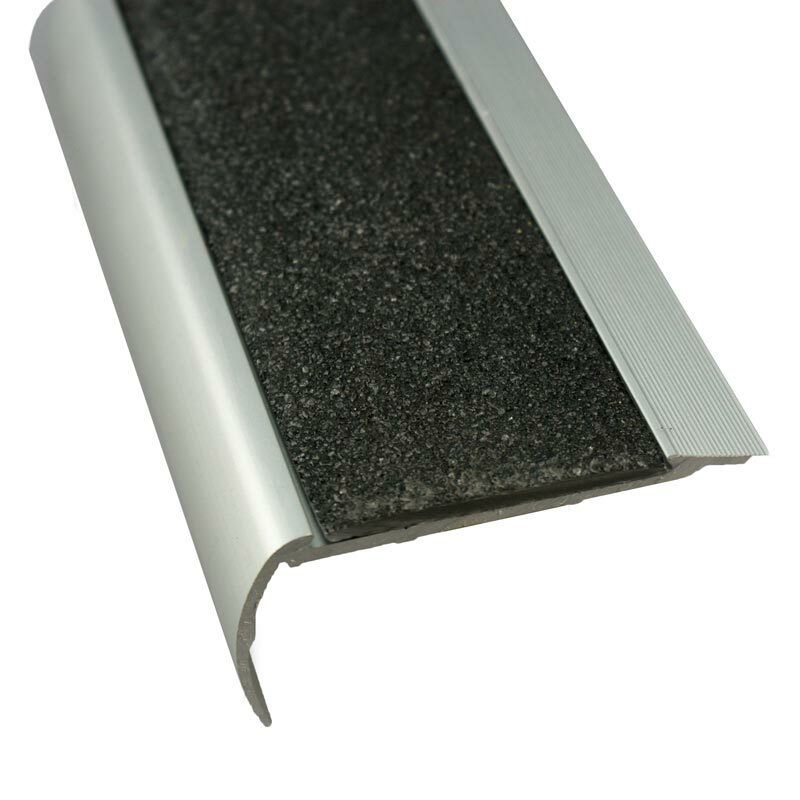 Manufactured from anodised aluminium this tough & durable stair nosing with its black 4 x 10mm carborundum. 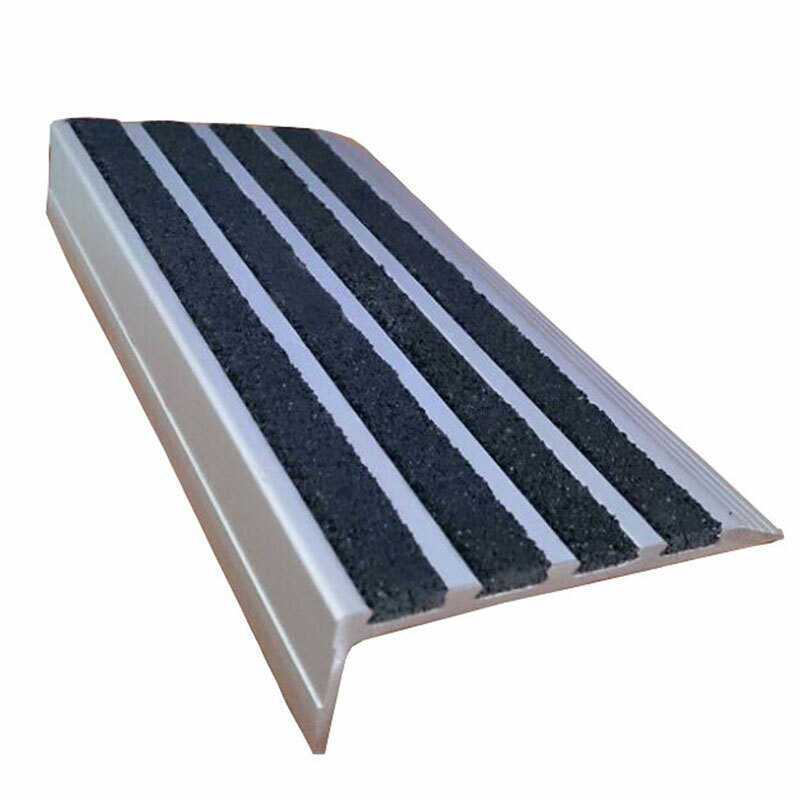 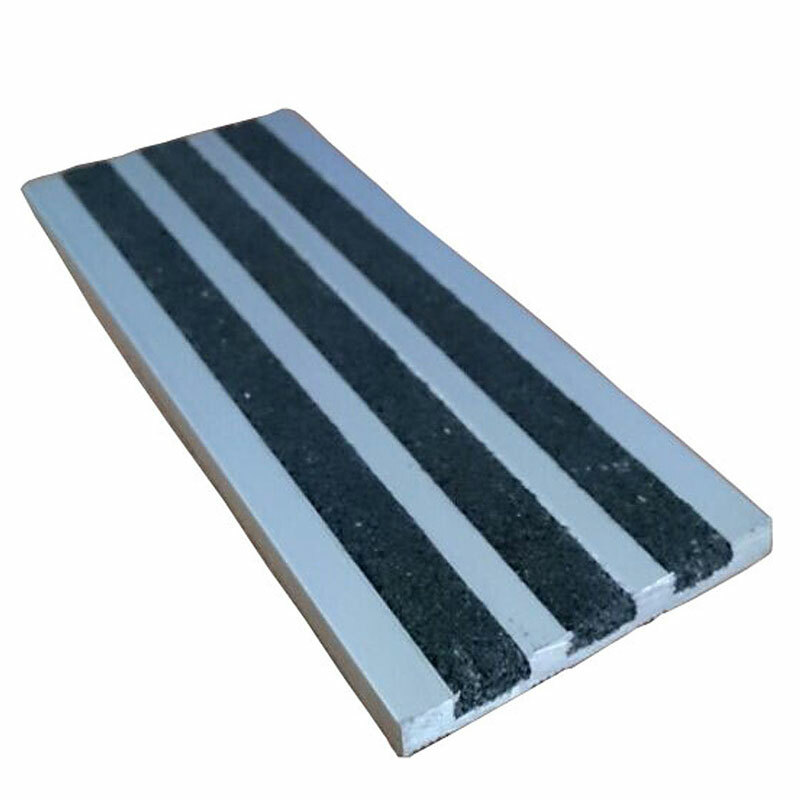 Anti-slip strips is ideal to be installed on both internal and external steps & stairways to provide the upmost in safety.